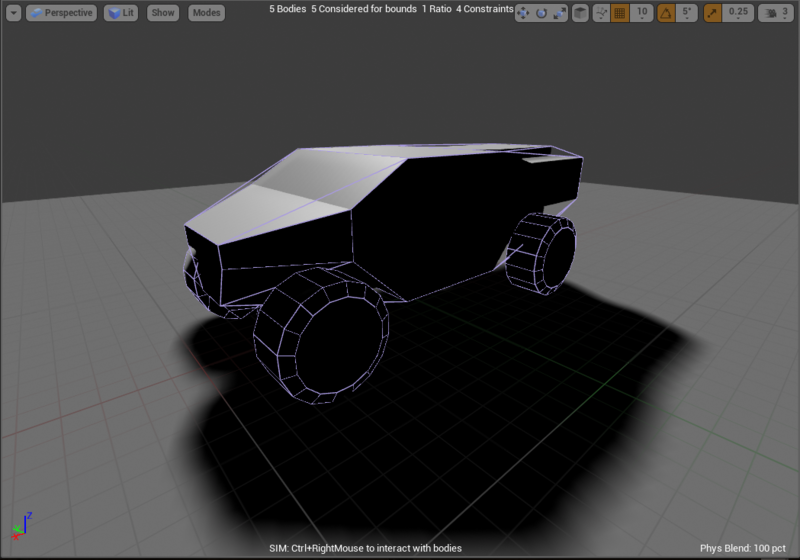 I've been attempting to create a vehicle in the Unreal Editor, I followed a tutorial pretty much exactly, and have fixed most of hte issues that I started with, such as the vehicle facing hte wrong direction, and flying all over hte place, but I'm left with a problem I can't seem to find any information on. 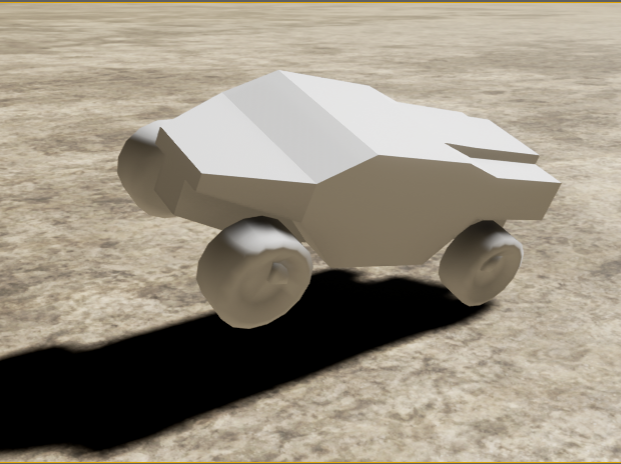 I've set up all the wheels with collision models in the PhAT, and a fairly simple collision model for the main body, and in the PhAT, when I hit simulate, it works perfectly. However, when placed in the game world, this happens. I am completely stumped, and I haven't been able to find anyone else with this issue. I've checked and rechecked everything I can think to check, but am at a loss. Hello there, check this tut https://www.youtube.com/watch?v=9gdmJIfuORk, I am not sure what modeling software you are using but basics are the same. From my point of view this problem could be caused by mispelling the bone names in vehicle movement actor, it happend to me few times, so go check in your vehicle blueprint-->Vehicle Movement-->in search type "W" wheels data shows up and there check the bone names, also check if every wheel body is set to kinematic. Also if you could provide your .fbx I would be much more of help. Car Wheels SINK into terrain and wont move forward. How to make vehicles which can be driven? How to make a car select screen?